The 173d Airborne Brigade Association is a 501 (c) 19 non-profit organization. Donations and contributions are tax-deductible to the extent permitted by law. We rely on the generosity of the 173d Airborne Brigade Association members, small businesses and corporations, and the public to help us carry out our mission and to meet the needs of Sky Soldiers, Veterans and on-active duty. 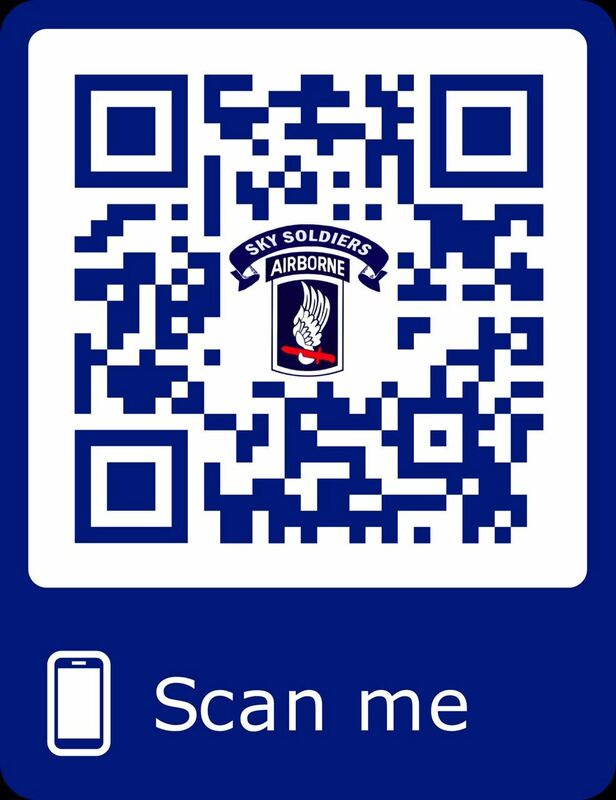 The 173d Airborne Brigade Association is 100% supported by volunteers and each contribution you make is fully directed to support our services and programs in accordance with your gift designation. Please specify the amount of your gift and click the donate button below. To make a donation, you do not need a PayPal account and if you don't want to open a PayPal account, then click on the logo of your credit card shown in the bottom left corner of next screen after clicking on the Donate button and click on "continue." To make a donation to the Association, click on the Donate button below. Or you may mail your donation to the below address. Please make your check payable to the 173d Airborne Association and enclose any special instructions regarding your donation.